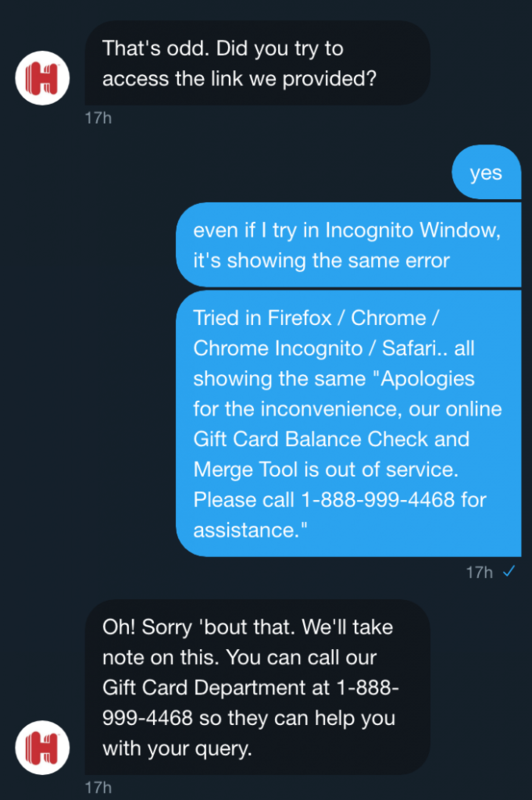 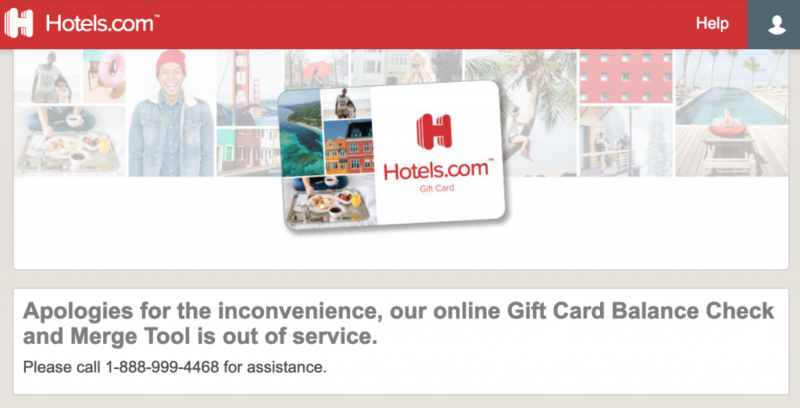 Since March 18th, 2019, the Hotels.com Gift Card Balance Services and the Gift Card Merging Balance Transfer Tool has been down and not accessible. 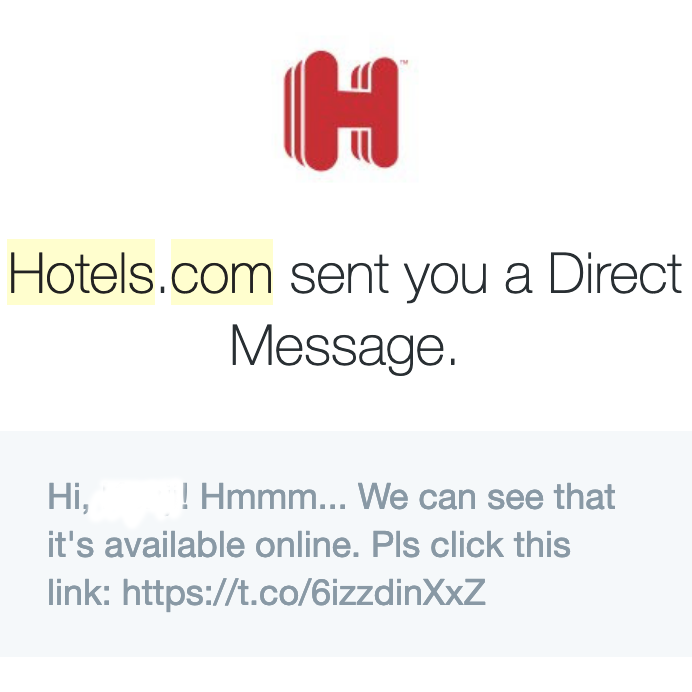 Contacting Hotels.com customer service over Twitter resulted in them stating that it’s working for them. 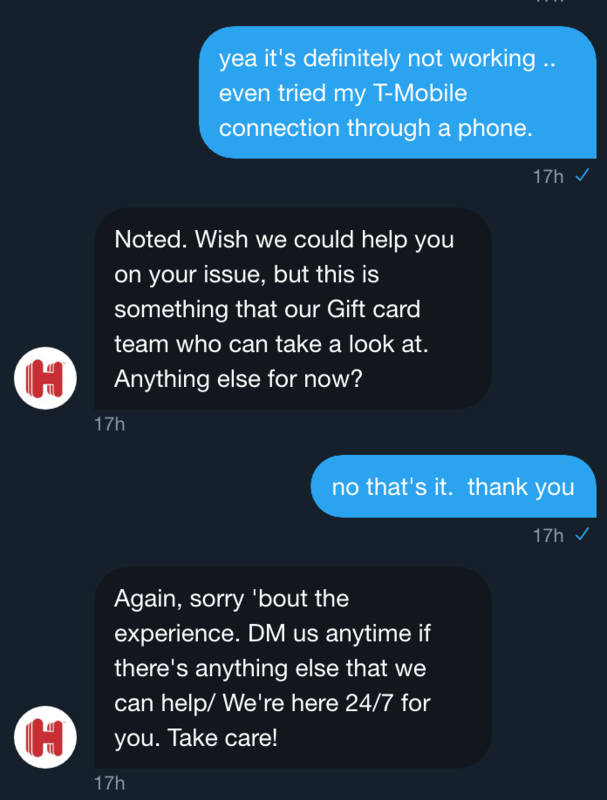 After a long wait and back and forth resulted in the same result. 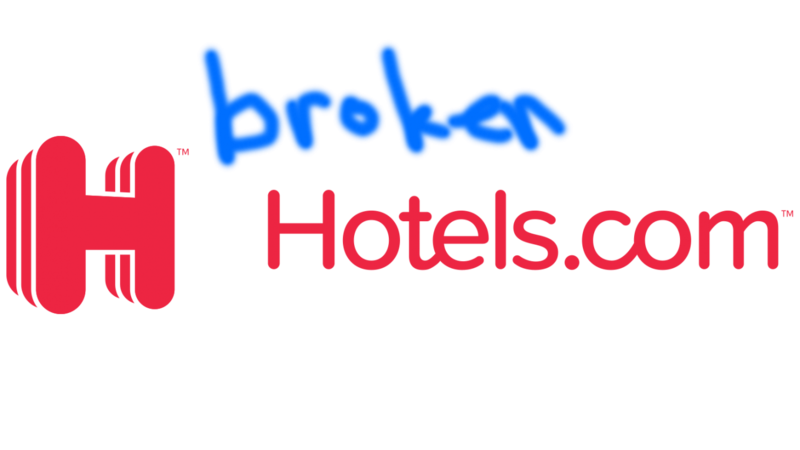 They say they can see it. 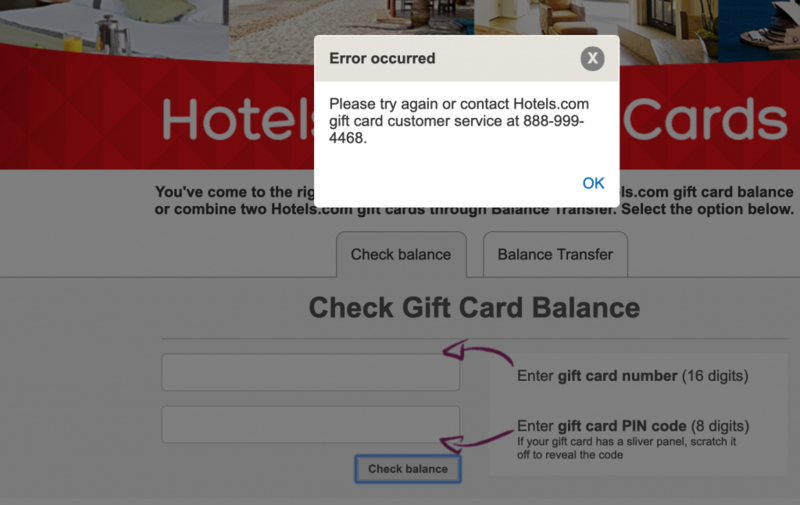 Hotels.com – please fix your gift card tool!